The project was initially the idea of Fabian Dattner (leadership activist and partner at Dattner Grant) and Dr Jess Melbourne Thomas (Antarctic Marine Ecological Modeler), together with Dr Justine Shaw (Antarctic Conservation Biologist), and Assoc. Prof. Mary Anne Lea (Antarctic Marine Biologist). Since then Homeward Bound has been developed by this team, together with Julia May, Sarah Anderson, Kit Jackson, Marshall Cowley and Hayley Young joining the team along with the support of Dr Fern Hames, Dr Merryn McKinnon, Dr Denise Hardesty and Assoc. Prof Heidi Steltzer. In November 2015 the project went viral globally, and within a few short months the inaugural program was fully subscribed and Homeward Bound began to grow from a 3 week leadership intensive to a yearlong leadership program. 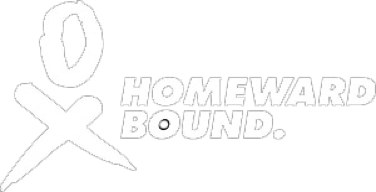 Homeward Bound is still a fairly young and new project however with the support from both past and current participants it has been able to grow in leaps and bounds and reach more women in science than was possible without them. Fabian Dattner is well known to many Australians. She is founding partner of Dattner Grant (Facebook Page), highly regarded leadership experts, and founder of Compass (Facebook Page), a national leadership initiative for women. Dattner Grant are also the initiators of Women at Their Best, a Facebook site for ordinary women doing extraordinary things. Fabian is widely recognised for her commitment to helping hundreds of men and women, in as many organisations from Board to basement. She has multiple technical accreditations and has been included in as many books as she’s written. 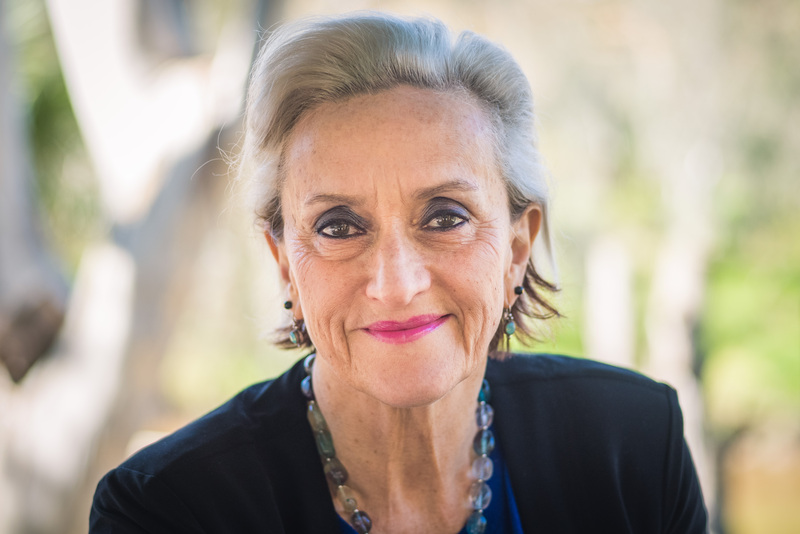 She’s a speaker, educator and social entrepreneur and a regular commentator in the media on leadership and ethical issues in Australia today and the role of women in building a sustainable future. She is has been three times a finalist in the TELSTRA Business women’s awards (last in 2016) and has been selected as one of the NAB 2016 100 Women of Influence. Senior Research Fellow and deputy Centre head of the Ecology and Biodiversity Centre, Institute for Marine & Antarctic Studies, University of Tasmania. Mary-Anne is passionate about understanding the way in which then environment affects the behaviour, distribution and life history of marine vertebrates. She has studied many species of seals and seabirds throughout the Southern Ocean and has participated in 20 expeditions and voyages. Specifically, her research focuses on the way in which marine predators, especially migratory animals, interact with their environment at different temporal and spatial scales, and the fine-scale relationships between animal behaviour and prey dynamics. Happiest when collaborating with others – Mary-Anne has worked with researchers all over the globe and across systems (sub-Antarctic/Antarctic, sub-Arctic Alaska and North Pacific and temperate). 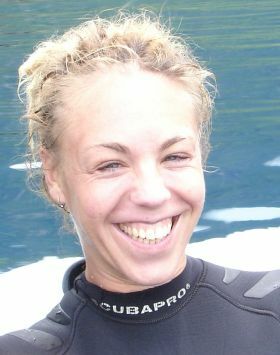 Much of her research has focused specifically on the influence of climate change and variability within the marine environment on top predator behaviour and distributions in the Southern Ocean. She is a member of the SCAR Expert Group of Birds and Marine Mammals and co-founded the Women in Polar Science Network. Research Scientist, Australian Antarctic Division and Antarctic Climate & Ecosystems Cooperative Research Centre. 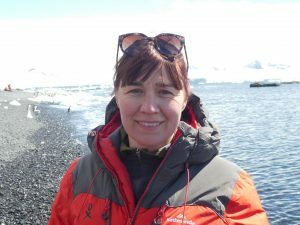 Jess is a marine ecologist who works as a research scientist with the Australian Antarctic Division and is a project leader at the Antarctic Climate & Ecosystems Cooperative Research Centre. She has a PhD in Quantitative Marine Science from the University of Tasmania and was a Rhodes Scholar at the University of Oxford from 2003 – 2005. Jess has a passion for the marine environment, which extends well beyond the office – she is a keen scuba diver and dive instructor and has had the privilege of being part of a research team in Antarctica. Representing a new breed in leadership, Jess was also integral to forming a group known as Women in Polar Science. This group is supporting each other and other women scientists across the world, and worked in partnership with Homeward Bound to get the project started in 2014 and 2015. 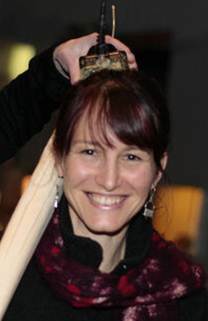 Justine is a Research Fellow, ARC Centre for Excellence for Environmental Decisions, The University of Queensland. She is a research leader in the area of conservation of Antarctic and sub-Antarctic terrestrial ecosystems. Justine is interested in understanding the way in which species interact with each other and their role in ecosystem function. Her research examines the role of environmental factors in influencing species abundance, distribution and occurrence. Justine is currently examining the risks posed by non-native species to Antarctic protected areas and the role of climatic change in conservation planning for Antarctica. 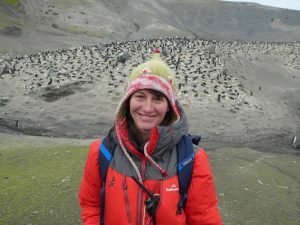 She is investigating how sub-Antarctic island ecosystems respond to pest eradications to inform conservation decision making. Justine has a large global research network, having worked in Australia, South Africa, sub-Antarctic/Antarctic and the Arctic. She has been “going south” for 22 years and is passionate about expedition science, having spent many hours in the snow, wind and rain with a pack on her back. Through her research she hopes to further conservation of these last true wilderness areas. 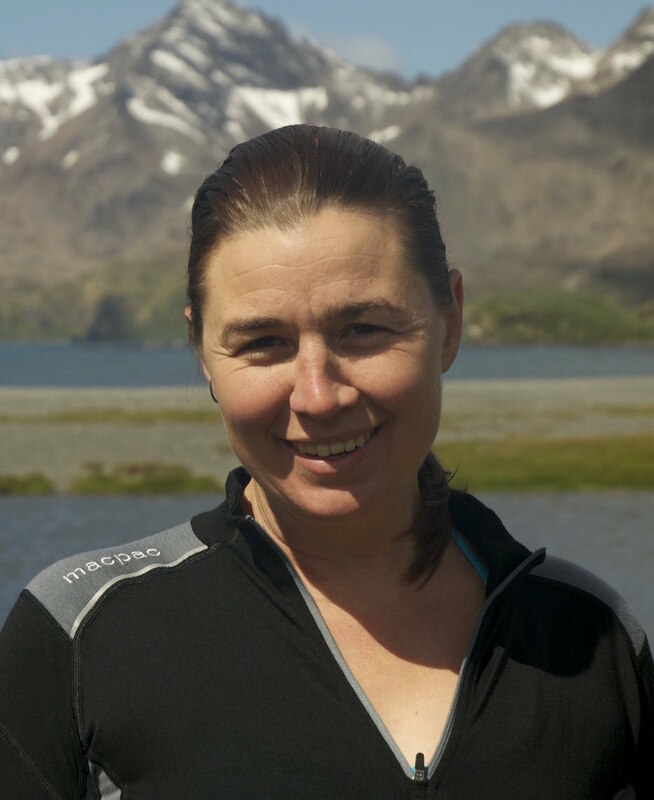 She is co-chair of the SCAR Action group on Integrated Science for the sub-Antarctic and an executive member of the Australian Academy of Science, Early Mid-Career Research Forum and is a subject editor for several scientific journals. 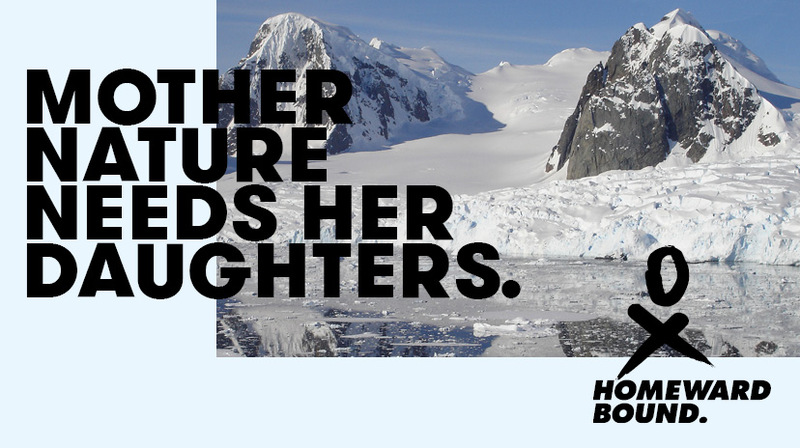 Justine is also a strong advocate for gender equity in science/STEMM and co-founded Homeward Bound and the Women in Polar Science Network. Justine co-lead the Homeward Bound voyage of HB1 and HB2. As co-founder Fabian Dattner set off for Argentina in November 2016 to depart for the inaugural Homeward Bound Antarctic voyage, she shared her thoughts on the journey up to this point, watching a dream become a reality. Who would have thought that my life, and the lives of many others, would be turned around on the power of a dream? Who would have thought that fateful moment when I woke up on Wednesday morning October 2014, and thought, ‘Wow, that dream felt real!’, that the architecture for a significant concept would already be laid down? And who would have thought sharing the dream with just one other person would start a global movement? But it has, and on 29th November, I will leave from Tullamarine airport for Ushuaia in Argentina, together with the faculty for Homeward Bound, and the adventure of a lifetime. Do you want to know what it’s been like? Will you even believe me if I tell you the truth? Even when I say it to myself it sounds apocryphal – a made-up fantasy. But it isn’t, and here’s the truth of Homeward Bound, which I face only days away from the dream becoming confirmed reality. It is happening exactly as I dreamt it, only bigger, broader, with more people involved and with greater impact. Many things I have believed, in the last decade in particular, about leadership and the world we want versus the world we fear, have become manifest in Homeward Bound: the power of collaboration to shared purpose; high degrees of autonomy amongst people able to do; my responsibility for managing the message, holding the centre whilst encouraging immense flexibility in implementation; not being afraid to let go but being clear about what to let go of; being willing to try and fail and try again – quickly; letting the dream grow in the hands of people who started to dream too. Homeward Bound has moved from a dream to a global movement in the space of two years, and today many millions of people have heard about it and many thousands are involved in making it happen. It has been and continues to be a bewilderingly seamless experience; I feel like I’ve just turned the pages, and the next steps were there to be read – by me and all the people involved. The central partnerships have been everything – Jess’ brilliant can do attitude from the get go, channelling her skill into getting key people on board early in the journey (if she had said it’s a ‘no go’ in those first four weeks, nothing further would have happened; but she didn’t – she got the dream as if it were her own, and she started to escalate the idea up through the Australian Antarctic Division until we had the blessing from the top). The dream would never have become reality without the humour and gentleness of Justine and Mary-Anne, with Jess, on the science, the strategic courage and experience of Kit, the endless skill, thoughtfulness and design talent of Marshall (leadership) and Mel (production), the quiet background wisdom of Greg (expedition leader), the determination and visible courage of Jules (visibility) and Sarah and Sonqiao (visibility/comms). Of course, that doesn’t even touch on the documentary team (Greer, Ili, Kess et al) and all those people who’ve pledged money to make a documentary that interrogates the nature of leadership in our world, through the eyes of women in science. OR the organisations far and wide who have donated time, effort and imagination – from logo to clothing, from IT platform to diagnostics – all for a common cause. So, right now as I work with a group of leaders in my day job, my mind wanders effortlessly to what lies ahead – now only a few sleeps away – and I am finally lost for words, carried forward – as with all the people involved – on a deeply felt sense of rightness: right purpose, right time, right people, right outcome. Stay with us on this journey. It’s for all of us.